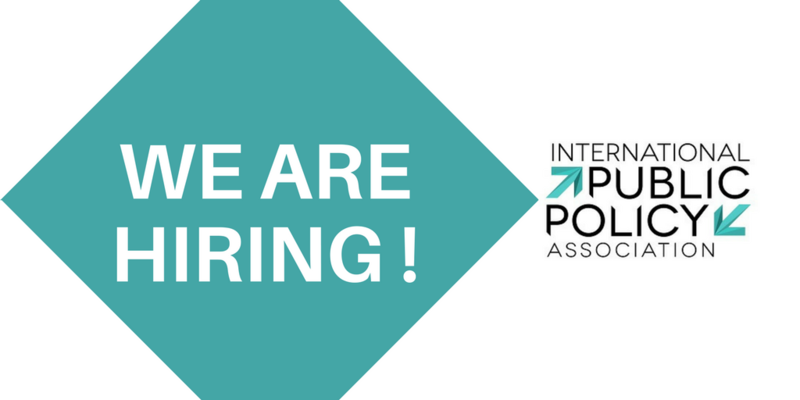 The International Public Policy Association (IPPA) is offering a student internship at its head office located at ENTPE - University of Lyon, France. IPPA's main objective is to further develop public policy research and to create an academic community bringing together members from around the world. It currently has 1000 members from 70 different countries and is composed of 22 international College representatives, including 12 representatives of the Executive Committee. More info on our team and missions. IPPA's main task is to organize the International Conference on Public Policy (ICPP) which takes place every two years (Grenoble 2013 – 900 attendees; Milan 2015 – 1300 attendees, Singapore 2017 - 1300 attendees; Montréal 2019 - organisation in process). This conference brings together policy researchers from around the world. In its attempt to reach even more people, the association has undertaken an increasing number of projects – ongoing and future – such as Winter/Spring/Summer Schools on public policy for Ph.D. students, an academic review, books, etc. IPPA also seeks to offer the international academic community resources relevant to the policy field through its website and newsletters (which are sent twice a month to more than 7 000 subscribers). Recently, IPPA also launched a new online open access academic journal, the International Review on Public Policy. Please note that IPPA is not a research institute, therefore you won't be involved in any research activities during this internship. The intern has to be a student the entire duration of the internship. Graduated students or PhD students are not eligible for this position.